For a major flower POW, look no further than Bold Blossoms. These multi-step blooms can be quickly layered to create gorgeous florals featuring rich, contrasting color mixed with whimsical design. 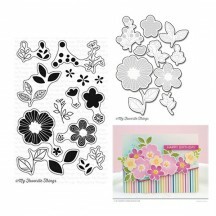 Each flower features 2-3 layers — each “set” encircled on the sticker for easy layering. Mix things up by combining images from separate flowers though! The accent rings can be used to highlight the flowers or create a coordinating pattern to back your images. You’ll be amazed by the versatility of this set. 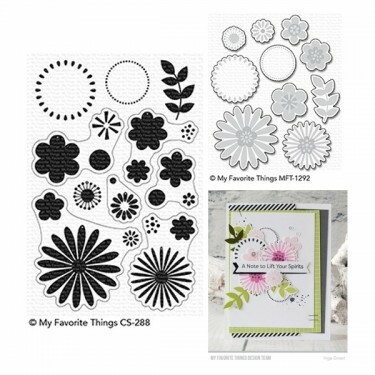 Bold Blossoms features our revolutionary Smart Align system that ensures lining up the intricate flower images with your Die-namics will be a breeze. Also included co-ordinating die set for perfect results everytime.